The final amount will vary based on the specific order details. See Pricing for details. Can you ship the cookies? ​Currently Bel's Bakes operates under the Texas Cottage Food Law and therefore cannot ship cookies. Orders are for pickup only. ​Can you deliver the cookies to me? ​We don't like to, but we can. There is an extra charge associated with delivery and a maximum radius of travel from 77080 of 25 miles. We follow the IRS standard mileage rate. See the Pricing page for more details. Bel's Bakes will provide the exact pickup address once an order is confirmed. For general reference, the location zip code is 77080. I NEED COOKIES TOMORROW. CAN YOU DO IT? No! These custom cookies can't be made in a day. The process is very labor intensive, hence the cost. We require at least 2 weeks notice for an order. If you need your order in less than two weeks, you will be subject to a rush fee if there is availability. See Pricing for details on the rush fee. ​Can I cancel my order and get a full refund? You may cancel your order and receive a FULL refund if you cancel 14 days or more from your pick up date. You may cancel your order and receive a 50% refund if you cancel within 13 to 7 days of your delivery date. Any cancellations with less than 7 days notice will NOT receive a refund and is non-transferable. ​In Texas, baked goods that don't require utensils do not require sales tax. ​I HAVE A PEANUT ALLERGY. CAN I EAT YOUR COOKIES? ​We use Almond Emulsion as a flavoring and the manufacturer claims that it is nut free. If you want to play it safe, just order the vanilla bean flavor instead. Please note that the cookies are made at a home kitchen where the presence of allergens exist, so please use your best judgement if eating. ​Our cookies are made from simple ingredients: flour, butter, sugar, eggs, vanilla extract, flavoring, baking powder, and salt. Those flavorings are either vanilla almond or vanilla bean. The royal icing is made from ​confectioner's sugar, water, and meringue powder. Sometimes we offer seasonal flavors, so those flavorings will vary. How long can the cookies last? Cookies tend to keep better than most baked goods. If stored in an air-tight container, cookies will last up to a month and if frozen 3 to 6 months. 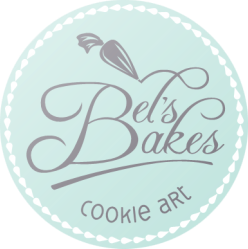 ​Bel's Bakes will provide the exact address once your spot in the class is confirmed. For general reference, the location zip code is 77080. Nope! Everything will be provided, but it is a BYOB event, so feel free to bring your favorite beverage!